when i first received this wig i was very impressed. 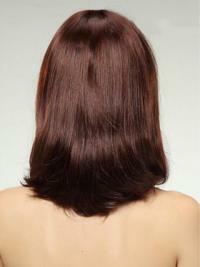 the remy hair is incredibly soft and realistic looking. This wig is the first capless i bought and i found it easy to work and looking perfect. I have 5 other wigs and i get so many on this one. people don't even know its a wig. I quickly felt more comfortable with the bob lengths; at least for now It has great movement and looks lovely. My daughter very like it and suggest me wear it going to shopping with her.